At first creating slide shows may seem simple – as it is all about compiling photos and videos. However, if you want your slideshows to look unique and impressive there is a lot more to it than that, which is why the software that you use is extremely important. That is a big part of the reason why Movavi Slideshow Maker is such an attractive option. As you can guess from its name it is a software that is designed to create slideshows, but the way in which it does so as well as its extensive features make it stand out. One of the big advantages of Movavi Slideshow Maker is its simple and intuitive design. In contrast to some other slideshow creators that have a steep learning curve and require a lot of time to learn, it is designed in such a way that you can pick it up and figure out how to create a slideshow in minutes. Not only does Movavi Slideshow Maker require no prior experience to use, but it also tends to simplify some of the more ‘advanced’ features or automate them to some degree or other. That makes them more accessible, and also allows them to be applied quickly – often with a single click. Although Movavi Slideshow Maker is designed to be simple and easy to use, it still has an extensive range of powerful features. 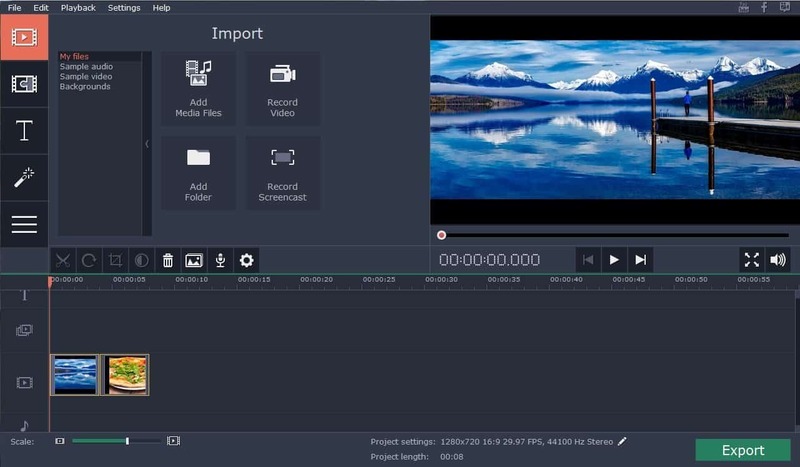 In fact, its features are so comprehensive that you will be able to create a stunning slideshow by improving the quality of the photos or videos that you use, applying various effects, and incorporating audio. While that is just a taste of the full scope of what Movavi Slideshow Maker brings to the table, it should give you an idea of what to expect. Suffice to say it is a photo slideshow maker that will let you determine exactly how you want your slideshow to turn out, and ensure you are equipped with the tools you need to turn your vision a reality. In a nutshell, if you want to create a slideshow and are looking for an easy yet effective way of doing so then be sure to try it out.